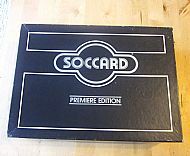 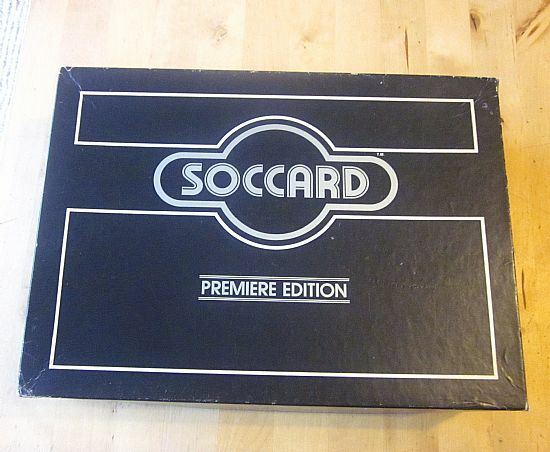 Not just any old edition, this is the Premiere edition of this Canadian football quiz game. 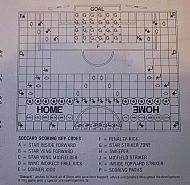 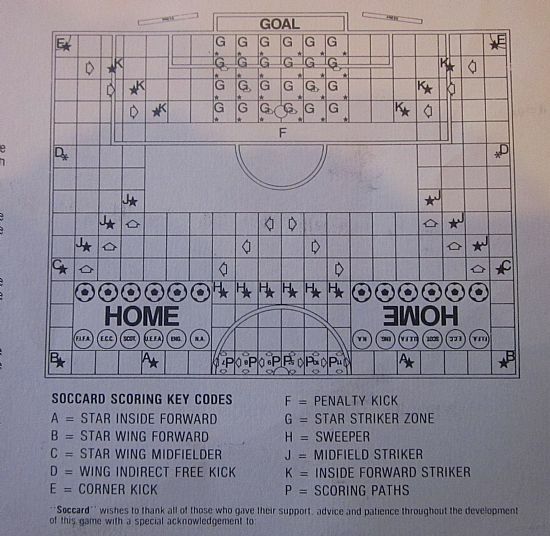 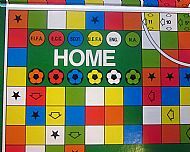 Answer questions to move around the board and score goals - nice and simple, great question range. 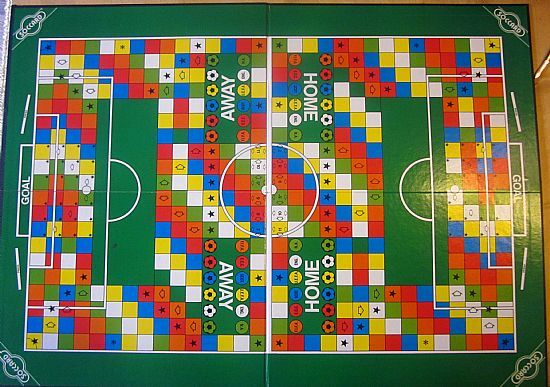 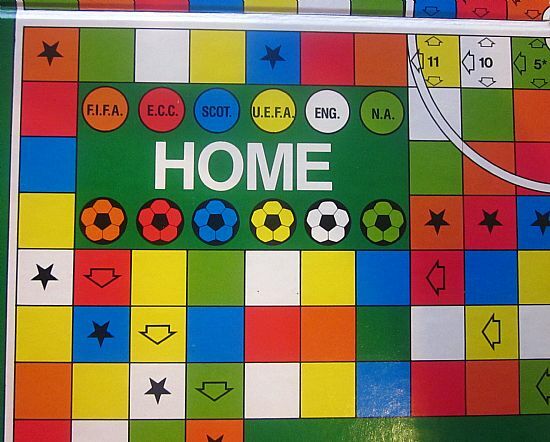 Cracking looking board but not easy to navigate. 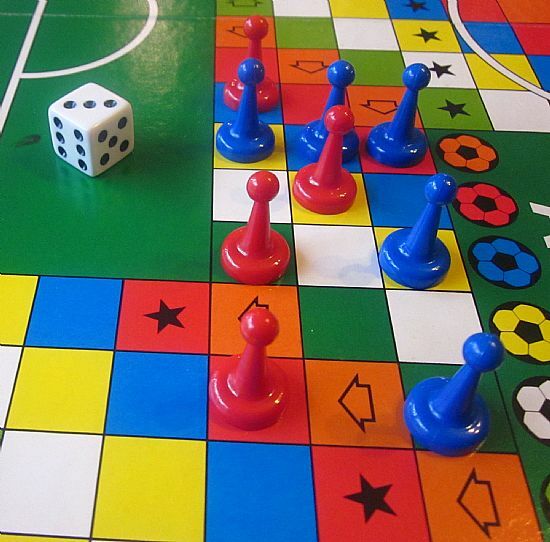 The ubiquitous pawn playing pieces. 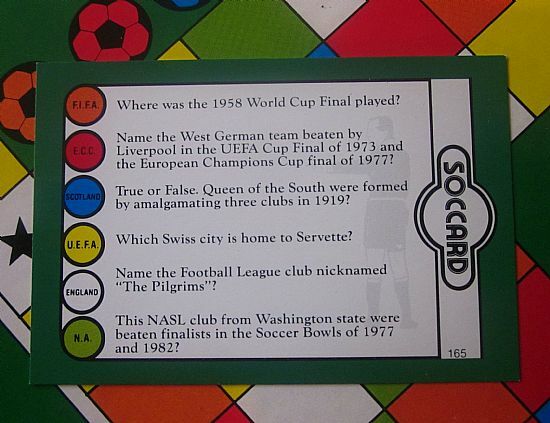 Considering it's a Canadian Soccer game the questions are excellent and difficult. Even after reading the rules you are not that much wiser on gameplay!